You’ve hit the studio with your best buds and now you want to keep the healthy momentum going strong, but not sure what to do? Don’t sweat; we’ve got some ideas for bonding time that won’t wreck your wellness goals. Surrounding yourself with those who prioritize wellness can help you maintain a healthier lifestyle. We’ve dished up how working out with friends can bring you closer to your fitness goals—by providing accountability, better performance, and (most importantly) more fun—to your routine. Social connections can actually help you stay healthy and ward off sickness by boosting immunity. What’s more, studies show that the eating habits of those you hang with most can rub off (for better or worse). It’s clear that time with friends can enhance your wellbeing, so take the lead on healthy habits and share the benefits. We’re pretty fortunate to live in an area that offers abundant wellness activities at our fingertips. From running trails to smoothie shops, you don’t need to look far to find healthy options. In addition to your time in the studio, gather your squad and explore new activities this spring. · Grab a buddy and hit the trail running (or biking, or walking). The Mount Vernon Trail stretches eighteen miles along the Potomac river from Theodore Roosevelt Island to Mount Vernon. You can connect to the W&OD Trail, which extends further through northern Virginia. · Go for a walk in the woods. Visit Theodore Roosevelt Island, and you’ll forget just how close you are to city. · Picnic with your BFF. Hit up MOM’s Organic Market (our favorite health food store) and head to Gravely Point or one of the parks along the Old Town waterfront such as Oronoco Bay Park or Founder’s Park. · Take a hike. You’ll need to head just a little further from town for a true nature escape, but many hiking options are within a short distance. Bear the traffic a little longer for a trip to Shenandoah and you’ll find fewer crowds (and more peace and quiet). · While we’re not knockin’ happy hour (we’re fans and know it can be good for the soul), try balancing your get-togethers with activities like an evening stroll. Walking and chatting with a friend is an easy way to bump up your daily steps. · Hit the water in a way that suits your style; try kayaking, SUP yoga, or parasailing. · Enhance your cooking skills with a class or workshop. · Let the warm weather motivate you to sign up for a race. 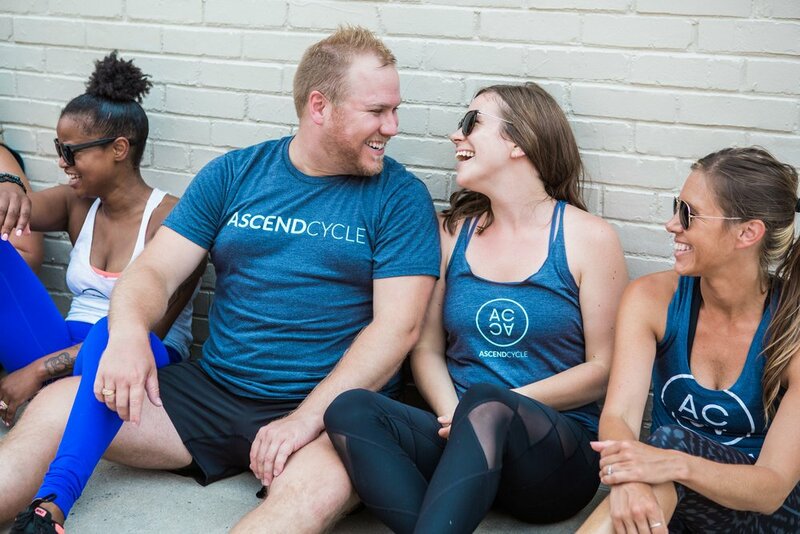 Ascend classes are a great compliment to race training programs. · Visit a new (or old) music venue – check out The Anthem or Birchmere, both located nearby. · Stroll the mall and check out the cherry blossoms (navigating tourists can be an adventure so plan to avoid peak times). · Book a spa day and zen out. Go beyond the basic massage and try a new treatment. · Bon Vivant Café – feast on a menu full of grass-fed meats, organic produce and quality ingredients (no hormones or antibiotics here). · Del Ray Café – enjoy local, organic food and a super friendly staff! · Junction Bakery– take your avocado toast up a notch with their California version or visit St. Elmo’s for Stumptown brew. · Lena’s Wood-fired Pizza–cozy up around the outdoor fire pit and the try the seasonal vegetable pizza (a personal favorite). Gluten-free crust available. · Snack Bar –head next door and refuel after class (it doesn’t get more convenient). Just like our bodies and minds, our friendships need nurturing. Consider these ideas for your next social gathering and connect in ways that positively impact your relationships and wellbeing. As healthy habits spill over, we all become #bettertogether.